While not specifically an autumn-themed book, I tend to think of Ox-Cart Man when apples and pumpkins are for sale at the local markets. The story revolves around harvest and family work. 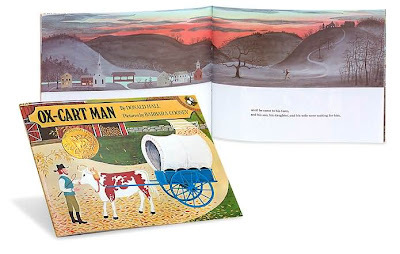 I love the old-fashioned, folk-art feel of the illustrations, as well as the simple, descriptive words that bring the story full circle.